With two layers of protective palm fabric, the 9018DO is constructed with a quality nap-in woven cotton blend material. 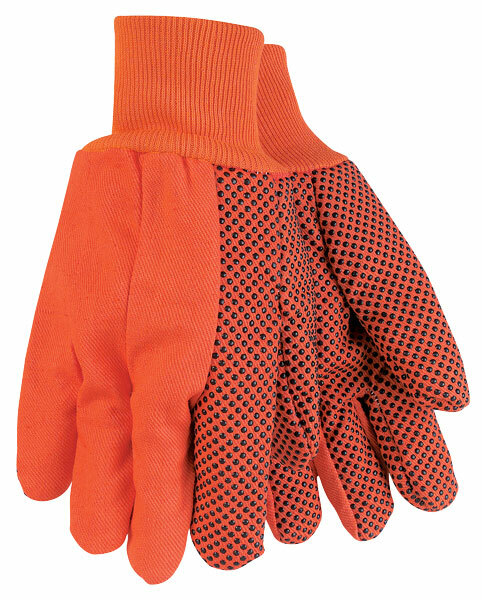 It features a hi-visibility orange color and is dotted on one side with PVC dots. The knit wrist makes it a comfortable option that is easy to wear. Perfect for those applications requiring protection from low heat or when different color options are needed.